Roman Elizarov – Devexperts Board member and Projects Coordinator, Director of ACM ICPC contest finals 2013 shares his experiences of the ACM ICPC contest finals organisation. ACM International Collegiate Programming Contest (ACM-ICPC) is an annual multi-tiered competitive programming competition among the universities of the world. The contest fosters creativity, teamwork, and innovation in building new software programs, and enables students to test their ability to perform under pressure. Quite simply, it is the oldest, largest, and most prestigious programming contest in the world. Roman is not the only person in Devexperts, who is concerned with ACM ICPC, but the most known one. I would like to start this interview with congratulations. Participants and guests appreciation of ICPC finals contest organisation is very high. Do you feel that your efforts have been rewarded by everybody’s recognition? 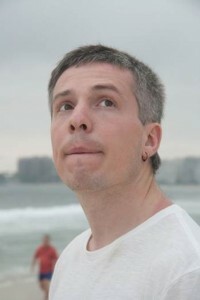 Andrey Annenkov, Ph.D. in Technical Sciences, independent IT analyst, for RIA Novosti. The ACM-ICPC (Association for Computing Machinery International Collegiate Programming Contest) sponsored by IBM was won by the Russians yesterday. Here are the final results. To make sense of this table is more difficult than to understand than the scoring used in football, as the ICPC scores not only goals (problem solved) but also takes into consideration the time spent, the number of failed attempts and the efficiency of the code itself. But, as in any sport, victory is what counts. Among the twelve winners, three were our teams (the ICPC awards four each of gold, silver and bronze medals). The Saint Petersburg State University of IT, Mechanics and Optics (ITMO) was the grand prize winner. Gold was also awarded to the Moscow Institute of Physics and Technology (MIPT), and Moscow State University (MSU) received bronze. Saratov State University placed 13th, being just one step away from medals, but still a step ahead of Stanford.